Happy Tuesday Folks!! 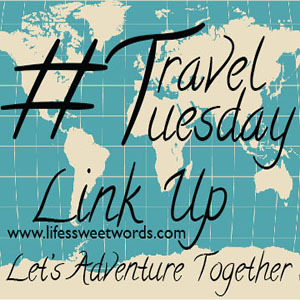 It's the second #TravelTuesday Linkup and I would love to see where you all have been (linkup at end of the post)! In order to ward off the cold Florida weather right now and take a little bit of a further "journey" this week, I figured it was finally time to share our honeymoon trip. This post is a l-o-n-g time coming. We spent our first 3 days on the mainland, exploring and eating our way through the city of Athens. We loved the history of Athens, but we were anxious to get to the islands. After hopping on a boat, we spent the rest of our trip cruising (7 nights) through the Greek Islands, as well as making stops in Turkey (Istanbul and Ephesus). 1.) ISLAND CRASH! The main reason I wanted to go to Greece was to see Santorini. If we could go back and do it again we would have chosen to spend the 3 nights on the island and then done the cruise from there, which would have had us spending just 1 full day in Athens. Athens was great, but it was also like any major city (just add in the history and the fact that Greece has worked hard to maintain their ruins). When you only stop in Santorini for the 1 day you can't truly experience it. You are only really permitted to walk the main walkway and access down the cliffs, towards the water, isn't permitted unless you are actually staying on the island. I really wanted to jump in the sea from a cliff (yes, for all you Sisterhood of the Traveling Pants lovers, that is where it's from), but alas that didn't get to happen. 2.) DO fly smart: It's a long flight! Get up and walk around some! I did not-- this was bad! I figured I could keep myself asleep and not have totally weird time issues if I just stayed prone and didn't get up. And that theory worked, I pretty much slept the entire plane ride over. However, when getting up to get off the plane my feet felt really strange. They were swollen to the size of whole hams for the first three days of the trip. One, it was scary, and two, it made walking for the entire day really uncomfortable. 3.) 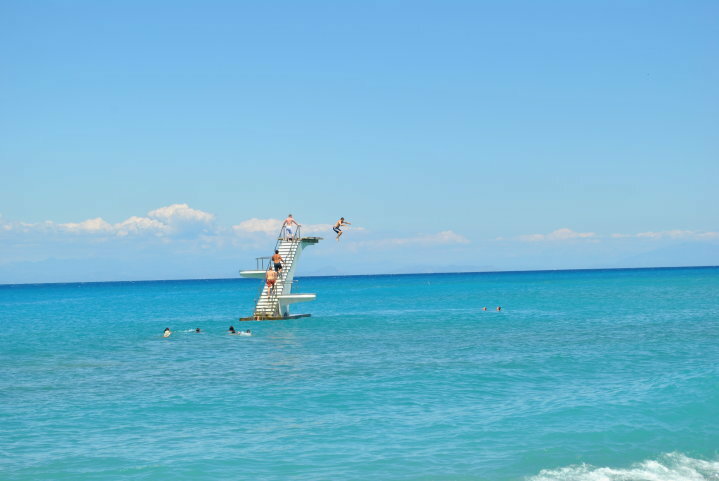 DO jump in the Mediterranean Sea!! Seriously, you just have to! And while I may not have gotten to do it from a Santorini Cliff, but I did get to do it from a diving platform. The water will be cold, but man will it be worth it! We did this in Rhodes, where we walked through the ancient city to get to the beach. 4.) 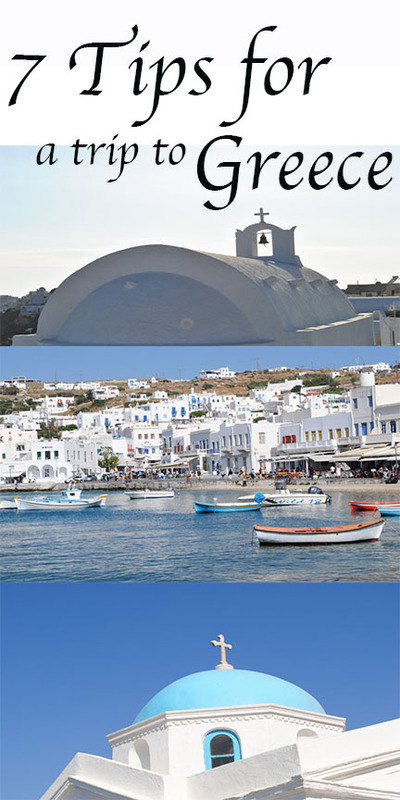 DO go to Mykonos! Mykonos was my favorite island on the trip. Santorini might have been, if I could have seen more of it, but Mykonos surprised me. 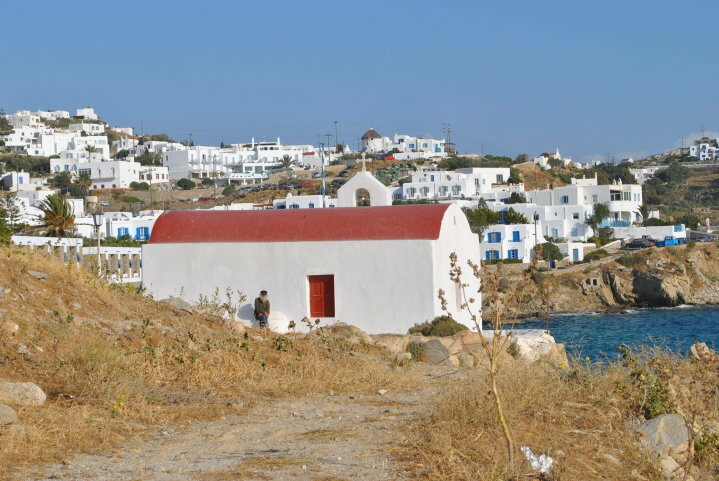 It was stunning and quaint and everything you dream of when you think of a Greek island- plus there was sea glass along the shore line which makes a great, free souvenir from the trip. 5.) DON'T skip out on Turkey! 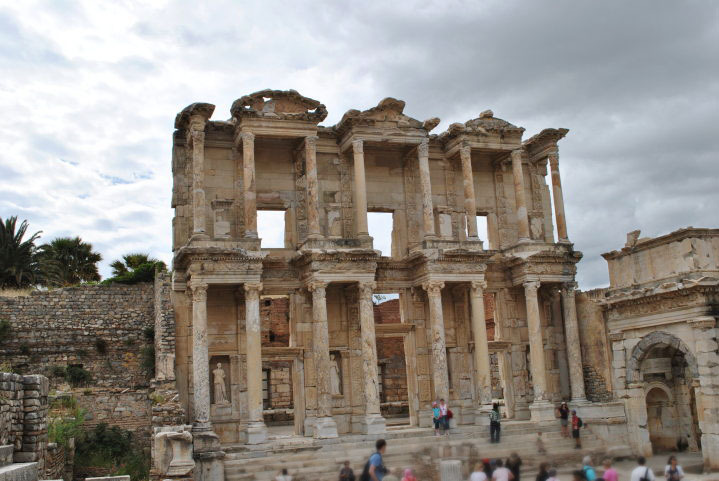 When we were first looking into the trip and I saw the stops for Istanbul and Ephesus I was hesitant and tried to find a trip that didn't include them. I had envisioned only Greece. 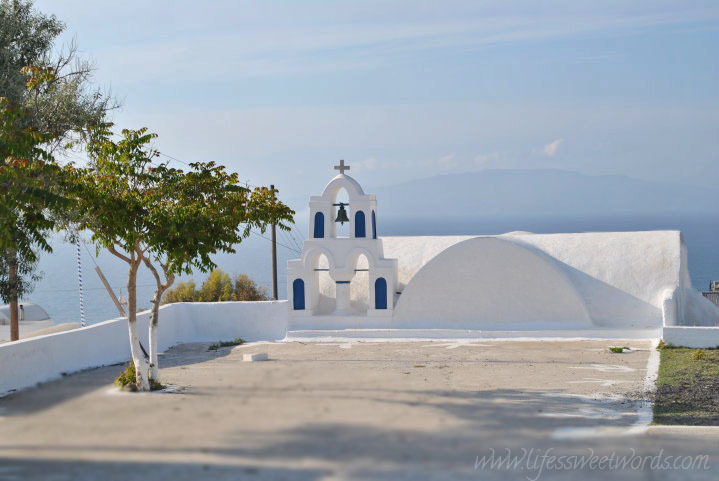 Having this be my first out of country trip I was nervous to begin with and wanted to know where I was going and the only place I knew and had planned on going was Greece. I am so THANKFUL that I didn't find a trip that worked without including the two stops in Turkey. Outside of Mykonos, the Turkish stops were my favorite! Beat Athens by a long shot! The colors and vibrancy of Istanbul was unexplainable. 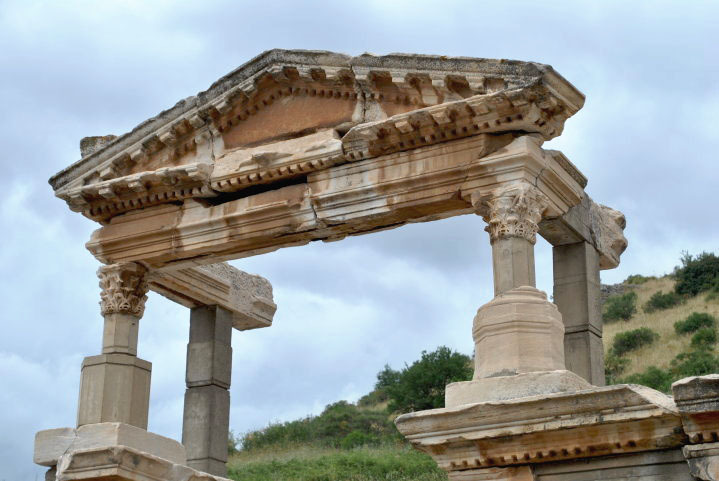 Ephesus had so much history it was incredible! I mean we got to see where Paul was jailed and where he wrote a lot of letters that became the book of Romans. 6.) DON'T compare a Mediterranean cruise to that of an American cruise! I was the only one out of the 4 of us who had ever been on a cruise (yes, we took another couple on our honeymoon! Yes, this is kind of crazy! But we didn't want our first trip in another country to be alone and we we're glad we went with travel buddies. It helped to calm out travel nerves and big trips like that are just better together in our opinions)! Having nothing to compare it to I assumed all cruises were the same. This is not true. I talked the cruise up like a crazy person, "Free food all the time! Activities at any hour of the night! All sun and shine and beautiful lounging weather when you are cruising from place to place." If you have been on Carnival or Royal Caribbean or any other cruise that leaves from the states then you know what I am talking about. You do not get these amenities on a Mediterranean cruise. At least not ours. Yes, there were 3 square meals a day and there were activities, but it's not the "all access fun pass" that I had been talking up to them. This cruise was more so a main mode of transportation, with some added perks, than it was a floating festivity in and of itself. Plus, it is super windy and kind of chilly when the boat is moving so it is hard to get any good laying out time in. If you manage to get a spot on the back of the boat you can lay there as long as you don't mind a strong breeze, but it's way to much to try to lay anywhere else. It was still great, just don't go in with "cruisin' glory" in mind. 7.) DO just enjoy yourself! Travel is wonderful, but it can also come with it's own stresses, especially out of the country where you are trying to figure things out in a language you don't know. Just take it as it comes and breathe it all in! Have a beautiful time! Bonus** HONEYMOONER TIP (another reason we should have started on the island): You will want to rest!! After your wedding you will be tired and you will want time to just relax; to sit in the sun, fall asleep to the sound of the waves and rest. 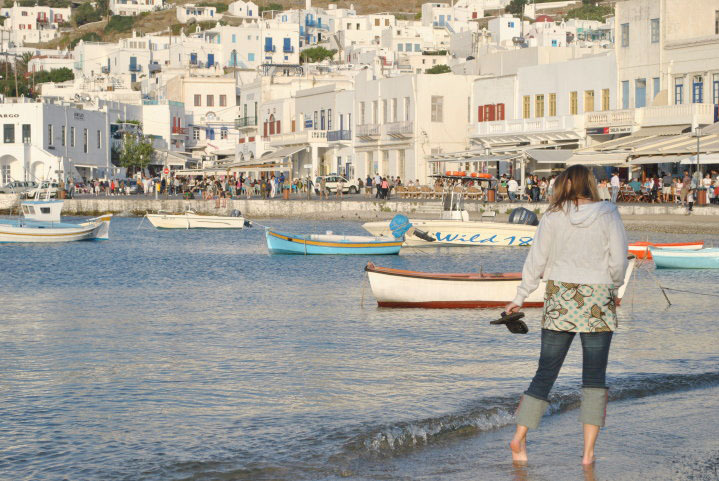 This does not happen on a trip to Greece, where you feel like you will be missing out by not soaking in everything. We were very go, go, go! Greece was my big, out-of-country, bucket list dream so we knew we wanted to go before we really settled down or we would never make it. 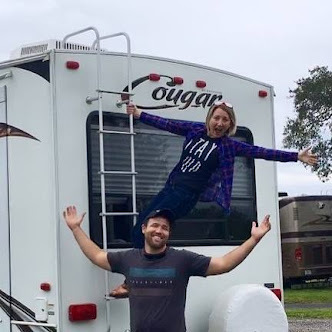 I am glad we went when we did, because I don't think we would have made that large of a trip if it hadn't been our honeymoon, but I do wish we had taken the beginning of the trip more slowly. 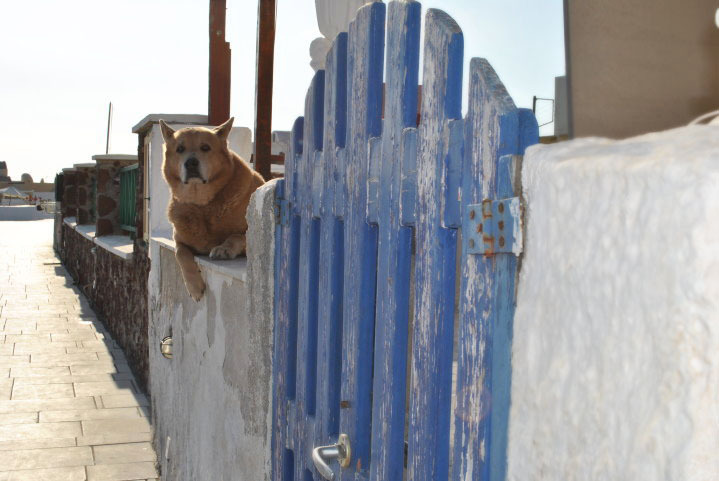 **ANIMALS: There are dogs (and cats) everywhere in Greece! They are friendly, but the ones on the streets are also dirty. Just be warned. Also, a note on the donkeys if you have ever thought of riding them in Greece: scary! Frightfully so, and I am a thrill seeker! So after our harrowing experience riding them to a castle in Lindos, we opted not to do them in Santorini. We rode the bus up and then opted to walk the donkey trail back down. This was also terrifying!! Maybe even more so then riding the donkeys! It is super steep and really easy to slip, as all the rocks were so worn down and smooth from the donkeys walking on them. Avoid the risk and take the bus or the gondola. We didn't want to wait in the line, but I honestly think it would have taken us less time to just wait with how slow we had to go. 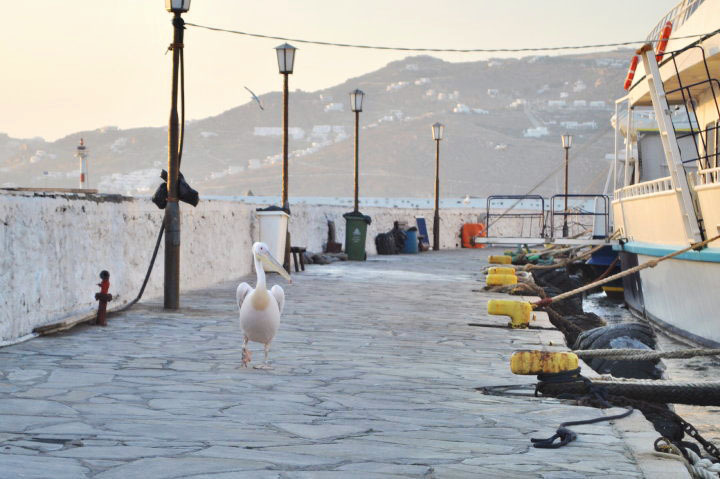 This is the little guy is Petros (Peter) the Pelican and he was the Mykonos welcoming committee, as well as the one wish us bon voyage upon departure. And so, from Peter and myself, farewell for now! Hoping you have the most beautiful of Tuesdays! Where have you been adventuring too? I would love to see! Feel free to linkup below! ~No real rules, as I am not a huge fan of those sorts of things! Just add your link and I encourage you to peek around and see where everyone else has been. Leave a little love where you like! Beautiful photos, how amazing to be surrounded by so much history and beautiful scenery. So I'm off to both Santorini and Istanbul this year! Hurrah! I'm glad you enjoyed them so much. We're going to Santorini for my birthday, for 4 nights, and Istanbul for Easter, for 4 nights as well. What were your favourite things to do in each place? Sounds like an amazing honeymoon! Your photos are beautiful, I'd love to visit someday to see the historical buildings. We went with a pretty low-key honeymoon so that we could have a long one (about 2 weeks), and that ended up being a great choice for us. This trip looks very similar to what I did when I visited Greece!! We also went to Athens and joined an island-hopping cruise. And I so agree with you that the 1 day cruise stop at Santorini was no way enough. 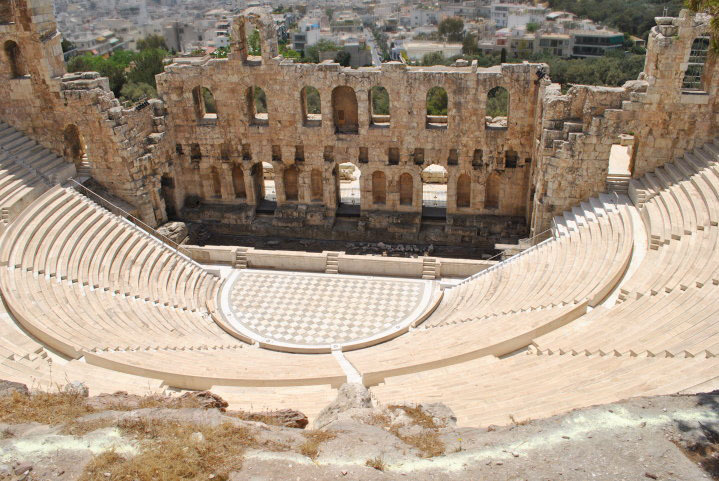 Our cruise also went to Mykonos and Ephesus and they were really memorable places. It really was a great trip! Glad you loved Mykonos and Ephesus as much as we did! 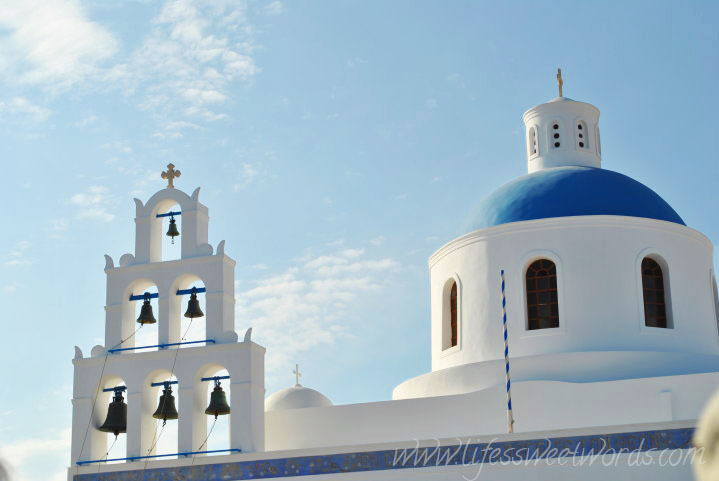 Hopefully someday we can make it back to Santorini and truly experience staying on the island! We really did have a great time :) Hope you can get there someday! Thanks for stopping by! It looks like everywhere was a blast! I've always wanted to go to Santorini (along with everyone else in the world...) but Mykonos, Turkey, Athens... they all look amazing. A good friend of mine is debating what to do on her honeymoon in Europe and I'll have to send her this way. I'm sure they would have such a great time! It definitely was a wonderful trip! Hope you get there someday! Santorini really is beautiful! Thanks for stopping by and, yes, share away and let her know if she has any questions that I am happy to answer them. I loved our trip! Amazing tips and beautiful photos, major wanderlust envy going on! 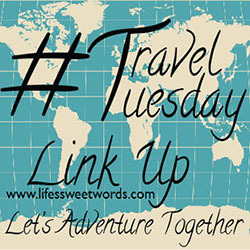 Visiting from Wanderlust Wednesday! We're hoping to make it to Greece one day, my sis in law did a semester abroad in Greece and absolutely loved it! Thank you! I hope you make it there too! A semester in Greece would be a dream! How awesome for her! Have a beautiful day! These were great tips! Our honeymoon was also a cruise, and we decided to take it 3 weeks after our wedding because we didn't want to be too exhausted. This worked out so well, especially because we were gone for just under 3 weeks. We had another couple join us in Paris for the end of our trip and LOVED having them there. I'm sad we skipped out on Turkey, two continents at once?! SO cool! Greece is my bucket list trip too and I'm trying to work it out for the summer when we are heading to Spain too. Not sure we can get them both done in one trip but I really want to! I love what you said about not leaving out Turkey on your cruise. I've been looking at smaller boat trips around Greece recently and they all seem to include Turkey as well. But now I realize that this is a plus, not a negative! 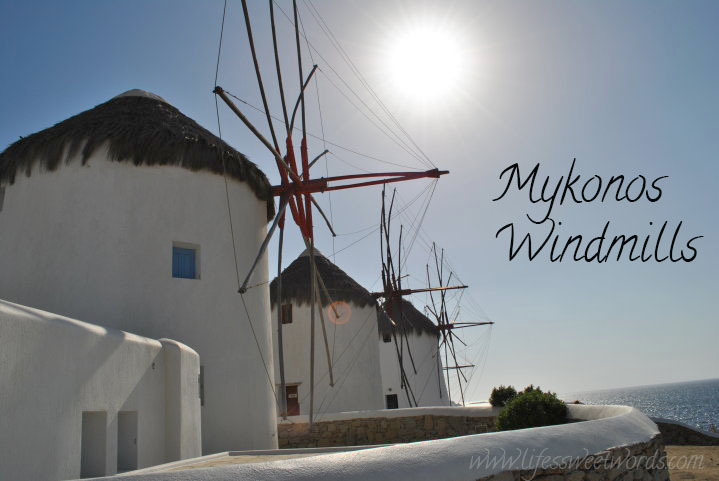 We honeymooned in Athens, Santorini, and Mykonos too! We went in July and it was blazing hot - it seems like you had better timing! 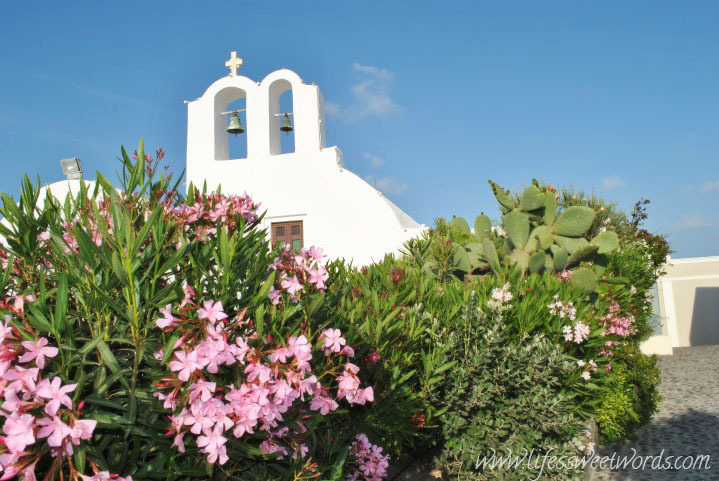 Your pictures of Greece make it look absolutely heavenly! I've never been on a cruise and not quite sure if I'd want to (because of things like not having enough time as you said for Santorini), however the stopping points on your cruise sound great. 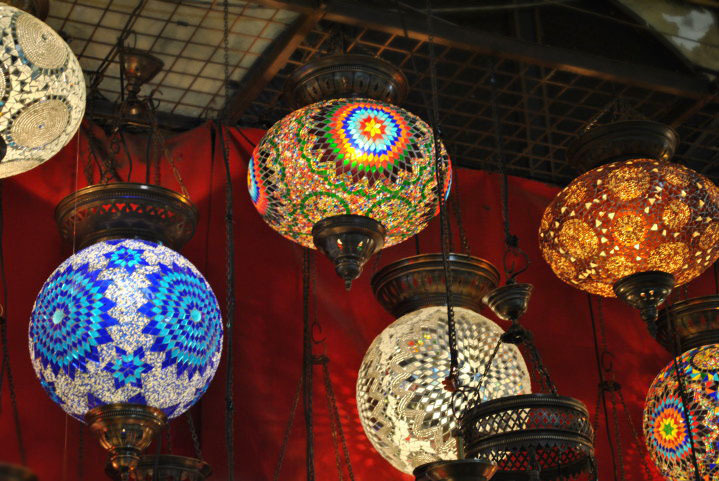 I'd love to visit Turkey and definitely spend too much in the shops!